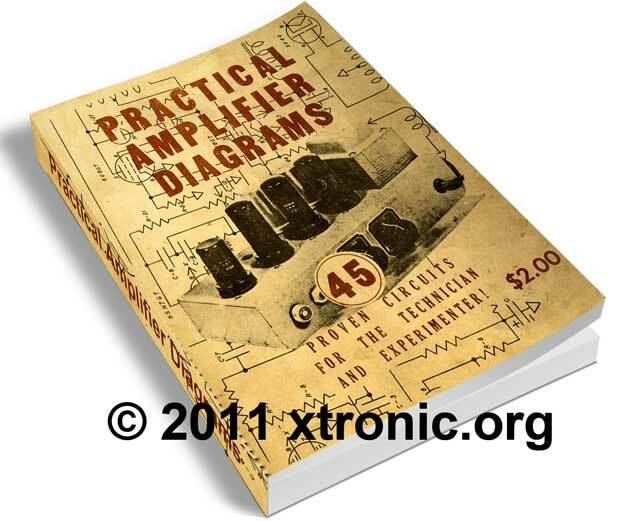 This is a PDF in English published in 1947 and features 45 complete schemes of tube amps, including diagram drawing material list and description of operation. Ideal for anyone interested in old amplifiers (Vintage) and the supporters as well as a modern valve amplifier. The power of the circuits presented in the book ranges from 1 to 75 Watts. Tube 4 watt ac booster amplifier (“transformerless”). Can I get this document?